all forms described (Brown, 1978: 559, Bolton, 1995) . 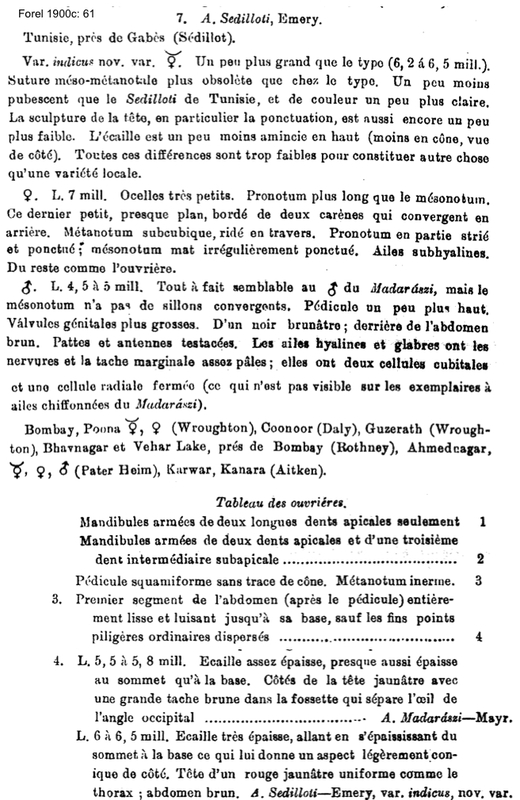 Emery's (1884a) description is at . 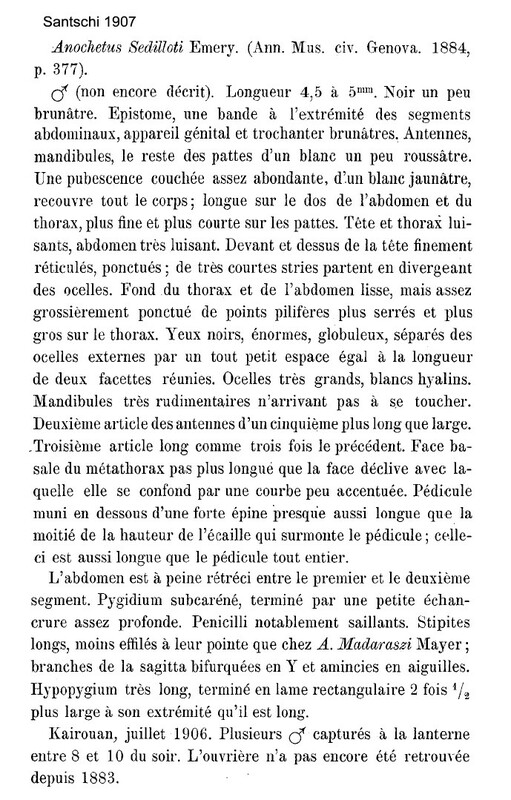 Forel's (1900c) description of indicus is at . 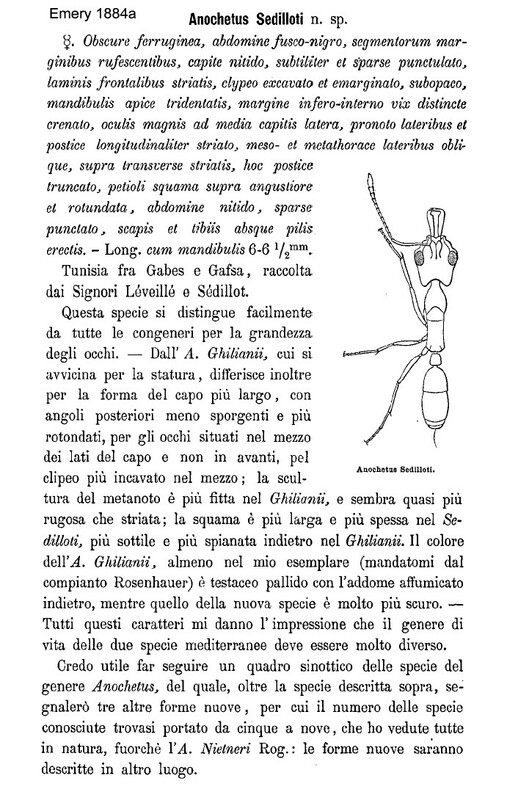 Santschi's (1907) description of the male is at . Brown (1978c) gave a description at . Brown (1978c) gives no more than a summary description of it as being a medium sized species with large eyes and a thick, often barrel-shaped petiolar node, rounded at the summit; antennal scapes short to moderate in length; widespread sculpture. 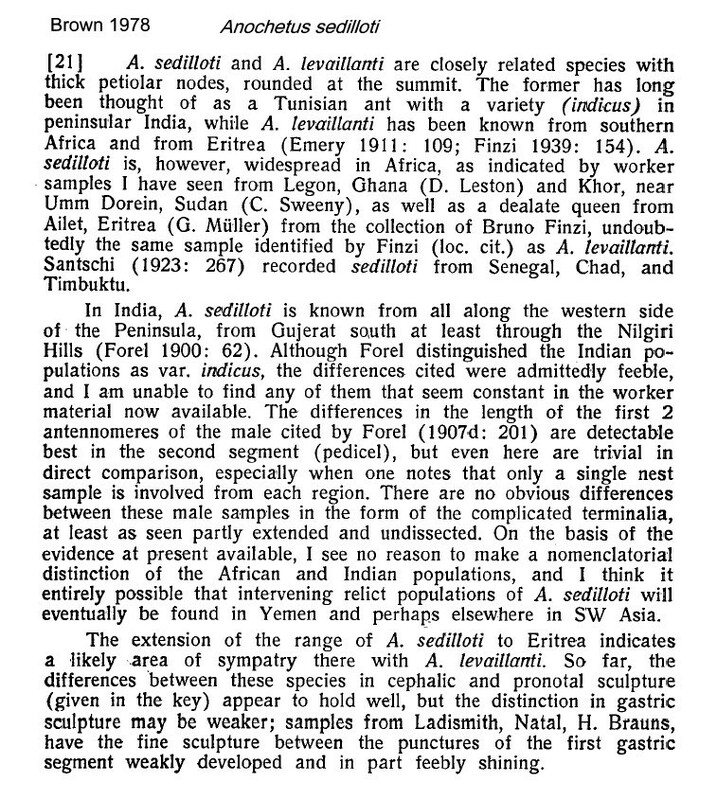 Brown described it as widespread in Africa, having seen worker samples from Ghana, at Legon (D. Leston), Sudan and Eritrea and sighting records from Senegal, Chad and Timbuktu (in Santschi, 1930a: 55, also Mali, Koulouba, by Andrieu, vi.1928). It is known also from western India (shown at the bottom). 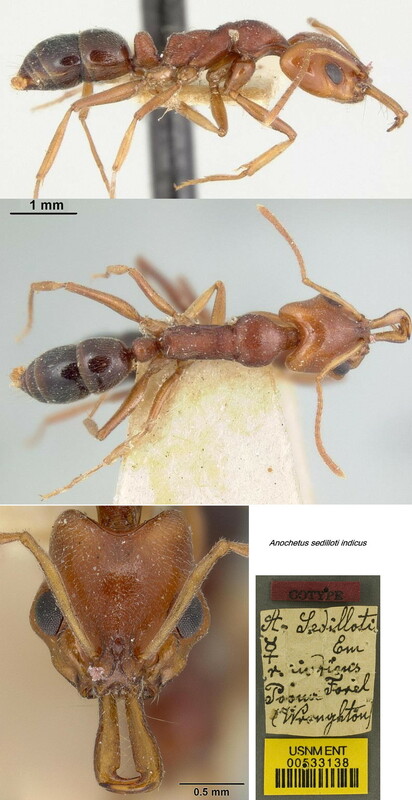 The photomontage of the type worker is collated from http://www.antweb.org/specimen.do?name=casent0900511. This is some 15% larger than the type form, with visible differences in the head shape, which does not narrow so markedly behind the eyes, proportionally smaller eyes, and is matt and not so glossy. 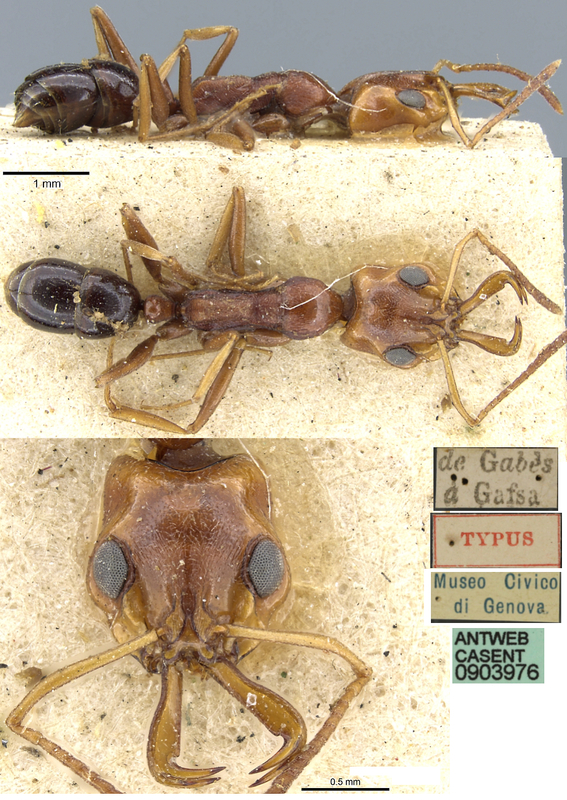 Comparison of fresh specimens might well justify separation of indicus as a distinct species. The Senegal specimens (below) are a nearly exact match for the Algeria type. The photomontage is of a worker collected from Senegal, Bambaraya, collector B Ndiaye. The photomontage is of a worker collected from Senegal, ENSA, collector Lamine Diamé (29).